Paris is well-known as the city of love, and one of the cultural metropolises of the world. But, there is as much you don’t know about Paris as what you do know. For instance, this is a city with a long-buried secret – one that dates back more than 2,000 years. You might view Paris as the city of the Eiffel Tower, the Louvre, and the Arc de Triomphe. But, something darker lurks beneath the surface. Beneath the sprawling cobbled streets of the City of Lights, there lies 200 miles of tunnels that are thought to have been there since the 13th Century. We are talking, of course, about the legendary catacombs of Paris. These are much more than simply a bedtime story, and it’s time we looked more closely at this murky part of Parisian history. Paris is a city that has always been at the forefront of politics, culture, and historical significance. And, by the 17th Century, the population of the city had grown to enormous proportions, so much so that the resources were struggling to deal with the demands. By this time the cemeteries had all been filled and were overflowing. To combat the obvious health risks this would pose, a solution was reached to place the dead in the tunnels below the city. These winding limestone tunnels were left over from when quarries were mined to help build Paris up in the 13th Century. And so, the catacombs held around 6 million bodies and bones beneath the city, far away from the outside world. Believe it or not, it wasn’t just the unknown and nondescript citizens of Paris who were buried here. It actually turns out that some well-known people were buried in the Paris catacombs as well. For example, people like Jean de La Fontaine, Charles Perrault, and Francois Girardon are all buried here. These were people who had some status and stake in the city and would normally have received a proper and more expensive burial. This shows the scale of bodies that had to be placed here due to the overcrowding that was a problem in the city at the time. 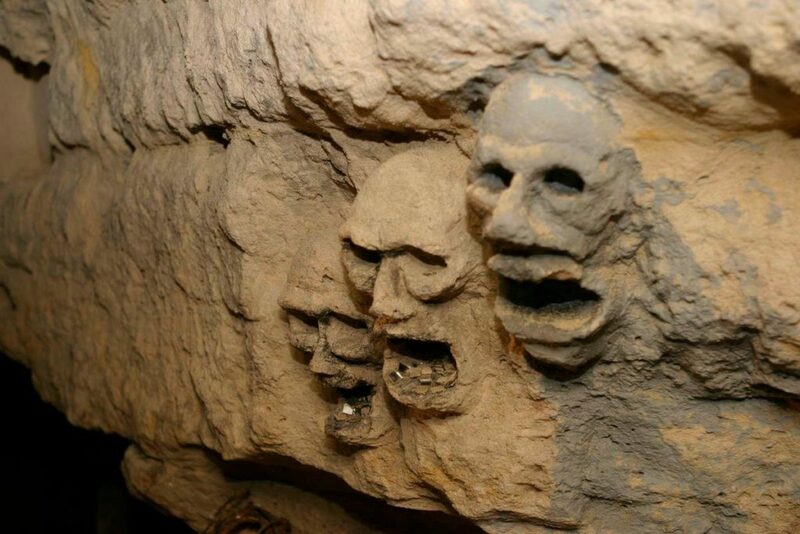 In later years the Paris catacombs became something of a morbid curiosity for a lot of people. At a depth of 20 meters, and a length of more than 300 kilometers, these tunnels are a truly remarkable creation. So many of us have walked the streets of the city, with no idea of the morbid history that lurks below. You are able to enter the catacombs these days as a tourist attraction, but only certain areas are accessible to the public. The rest has been off limits since the mid-1950s, though there are reports that enthusiasts known as cataphiles have been illegally exploring them since the 1980s. 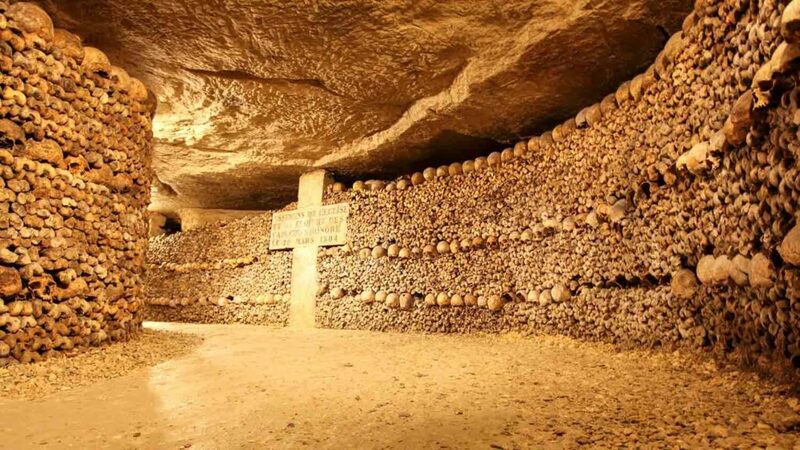 These amazing catacombs represent one of the great hidden secrets of Paris, and they are a sight that definitely needs to be seen. You probably never knew they were there, and, now you do, it’s time to make the most of them and check them out where you can. This dark secret adds an air of awe and mystery to Paris and makes it one of the most fun places in the world to visit.